Being a champion is a matter of talent and physical preparation. DR Kart and Fit4Race know this golden rule, so they have signed a partnership to provide the best package to drivers. When racing you have to push yourself and your kart to the limit, and the only way to do that is to be perfectly preparated on both sides. For this reason DR Kart is in a partnership with Fit4Race. 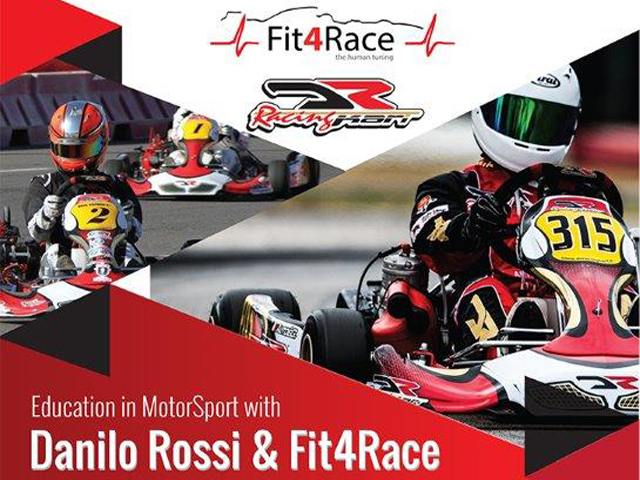 The five-times World Champion Danilo Rossi and its team will provide you the technical knowledge you need to compete at top levels in international karting, while Fit4Race will train you allowing you to express all your potential. First step for Fit4Race is to analyze to current state of our actual driver. Then the second step is to create a straight and obvious plan for lifting up these required abilities to the highest possible level by our experts giving physiological and psychological assistance. The Fit4Race Human Tuning Program was developed in 2009 by the founder Zsolt Matics who had achieved great success in karting. Fit4Race Human Tuning is a special training system which helps racing drivers to prove their real skills and talent so this way they are able to win those hardly earned thousands of seconds.